This is the most recent information about Trashmen that has been submitted to amIright. 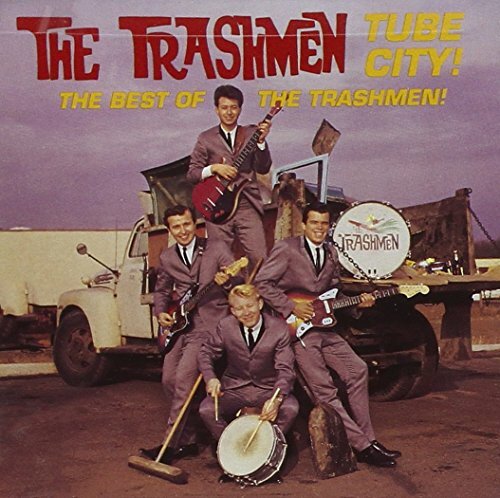 If we have more information about Trashmen, then we provide a link to the section where it appears (the actual page whenever possible). "Surfin' Bid" originally "Surfin' Bird"
"Bird Dance Beast" originally "Bird Dance Beat"
"Surfin' Birdy" originally "Surfin' Bird"
"Surfin' Bard" originally "Surfin' Bird"
"Surgin' Bird" originally "Surfin' Bird"
A bird surges ahead in a race. "Surfin' Bind" originally "Surfin' Bird"
Surfin' somehow got someone in a bind. "Surfin' Bird" "Quiet Bird" Robert D. Arndt Jr.
"Surfin' Bird" "Obama's Last Term" Robert D. Arndt Jr. There are additional Trashmen Combined Groups that haven't been done yet available. There are additional Trashmen misheard lyrics available. I'm sure I heard this version on Doctor Demento once, but I can't find it anywhere on the Internet - so did it actually happen? Bad fella, haven't you heard about this jerk? "Surf In Bird" originally "Surfin' Bird"
It is hard to surf in a bird.